a] i always seem to be getting new books. b] i am an extreme mood reader. so books can potentially get left on my TBR pile for over a year before i pick them up. it's not good. but i can't help it. being a mood reader is who i am..
how big is your TBR pile? infinite? or are you good at keeping on top of it? On any day, your low lighting book photos trumps mine ha ha. I think your pictures look great :) I only read library books, so I don't have any books of my own. I keep track of my TBR list on Goodreads and I think it's hovering around 300 books right now. Thanks but whaaaaaaaat you don't have any books of your own?! I COULD NEVER DO THAT! Your pictures are always so lovely (the colours just look great)... I used to be so good at keeping my TBR to just a few books, but ever since I got into reading book blogs and booktube it has exploded. I can't go past a bookshop without going in and I can't go in without finding something I want to buy! Having too many books can't be a bad thing though, right? 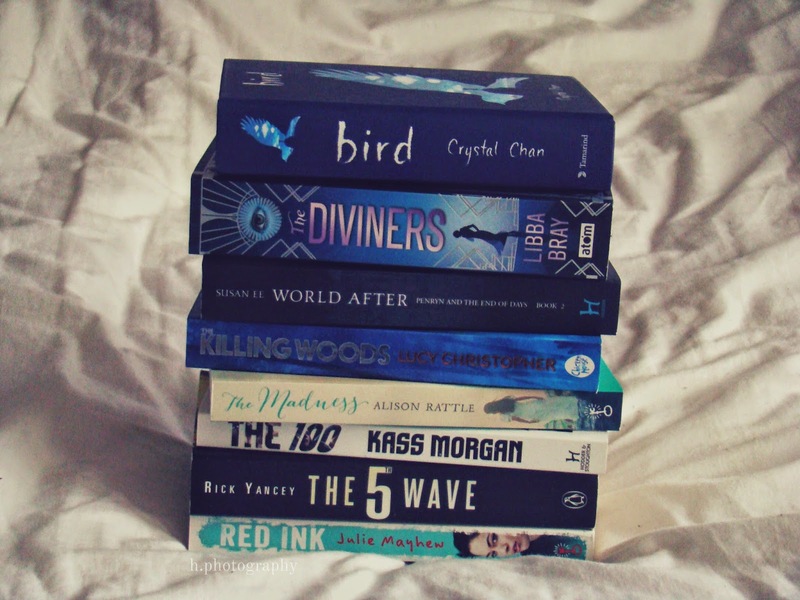 I really want to read The Diviners, Dangerous and The 100 as well! Awwh thanks! 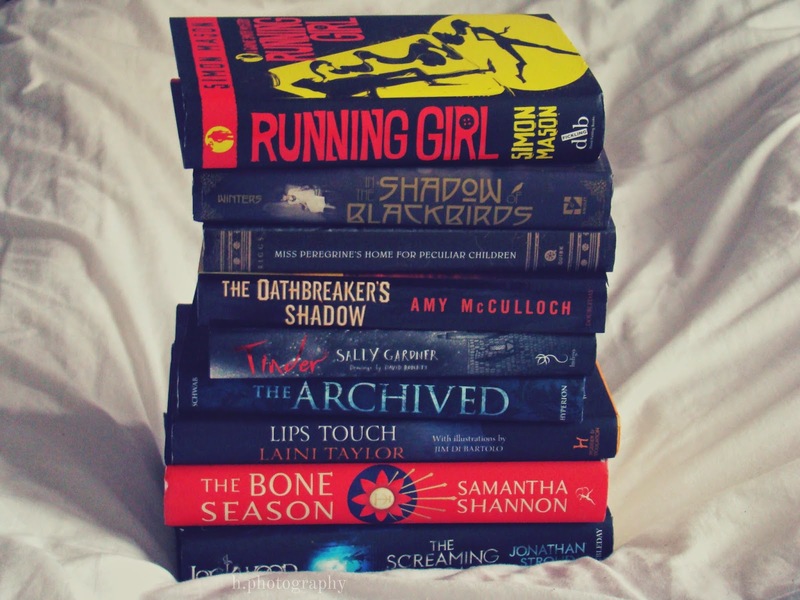 Yesss blogs and booktube have made my TBR pile EXTREMELY huge. It's horrible. ;) I can never go past a bookshop without going in but i very rarely buy anything because that needs money and I hAVE NONE. I love the spine for Bird. I've been meaning to check that book out. Also need to get my hands on Raging Star soon! I look forward to seeing what you think of these. :) My TBR pile definitely feels infinite sometimes, but I guess I never have to worry about not having anything to read. Ahh, we have such similar TBR lists - I have loads of hardbacks that I can't get through on mine - I'll start one chapter, put it down for some reason or other, and then use this as an excuse not to pick it back up again. I lack book motivation, I think. I think that's about the same amount as my TBR, as it stands. But that's because I've been on a self-appointed book buying ban for a few months and had to cut back on my review books so I could tackle my TBR. Think I've been doing quite well! 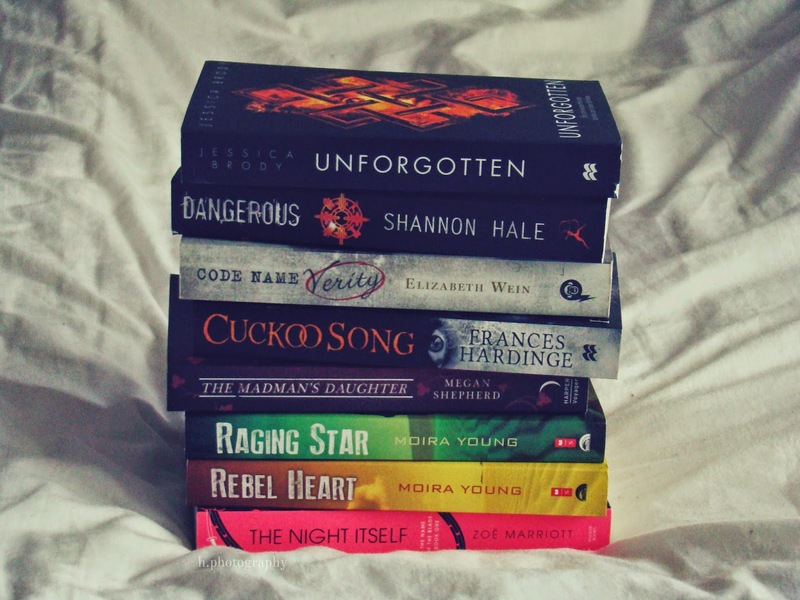 I actually have a very small TBR… like 15-20 books? But on the topic of yours, READ THE BONE SEASON! The beginning is a bit confusing but AHHHH it's amazing. Also, CNV? Read. Now. (Yes, that's an order). And More Than This. And Miss Peregrines. Also, please read In the Shadow of Blackbirds because I NEED to know if you recommend! My TBR pile seems to be big but then I remember I'm a mood reader and won't finish about half of the books and that I still have to review 2 books. Oh the woe of not having mind reading blog post typers. A post like this always makes me remember books that I should read but haven't. My TBR list seems to vary a lot as a mood reader. Then I see posts like these and add about three more books. I usually don't finish all the books in my list do it is smaller than it looks. The happy thing though is that you have a lot of books. How do you afford all of the ??? I haven't read any of those books apart from Code Name Verity! WHICH IS AMAZING. I don't have a proper TBR pile because if I did it would literally fall over in the night and bury me ... no, I have a list. It is so long. It scares me ..... but I can't stop adding books. The curse of a bookworm, eh? 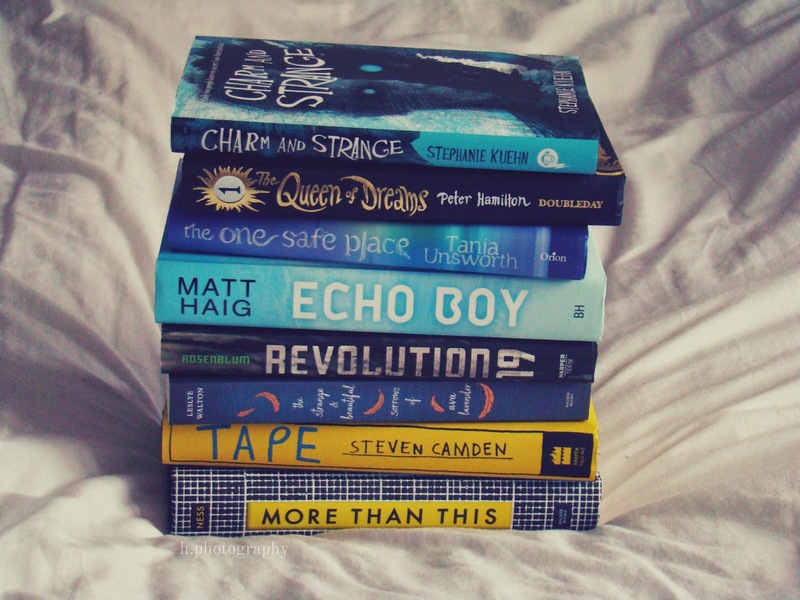 I have so many books on my tbr pile too .. I've got no idea if one day I'll have read them all !! I'm dying to read The Archived Miss Peregrine's Home for peculiar children .. I look forward to know what you think of all of these :) ! !